Exciting news, Iron Maiden fans!! Your favorite band is hitting the Oracle Arena on Tuesday 10th September 2019 with a massive new North American tour based on their popular phone game!! Don’t miss it – tickets are on sale now and expected to disappear FAST!! This latest tour is a “History/Hits” tour, but if you’ve seen one before, this will be something truly spectacular. 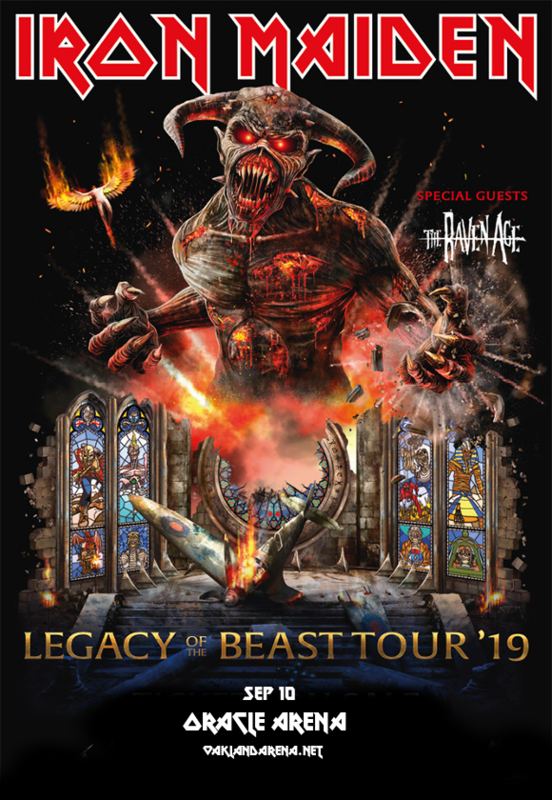 Based on the Iron Maiden phone game, the new tour will feature rotating sets as the band play, and, of course, appearances from Eddie, together with a setlist that will take fans right into the world of the Legend Of The Beast! Don’t miss out – get your tickets to see Iron Maiden today! !